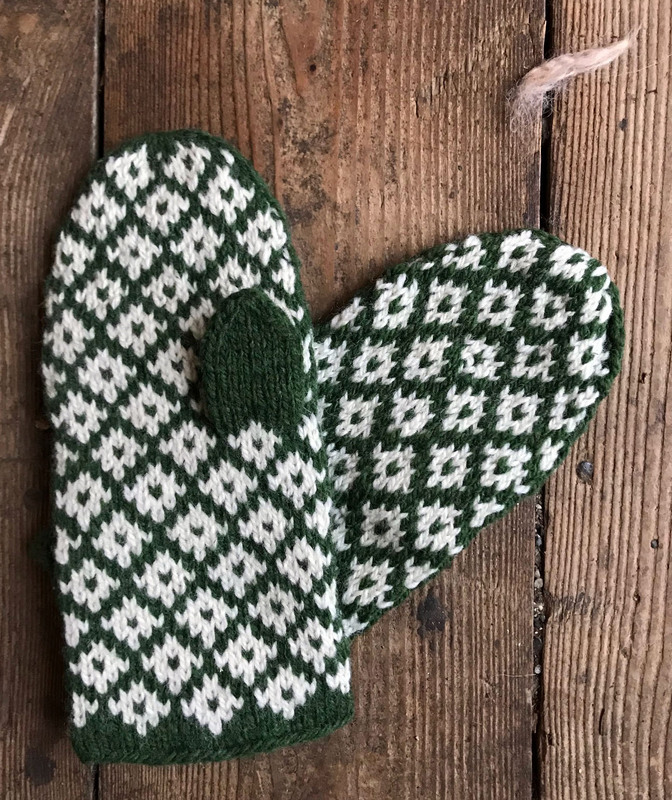 The final project from our 2018 Mystery Project Club collection, is Maureen’s Swedish Mitten. 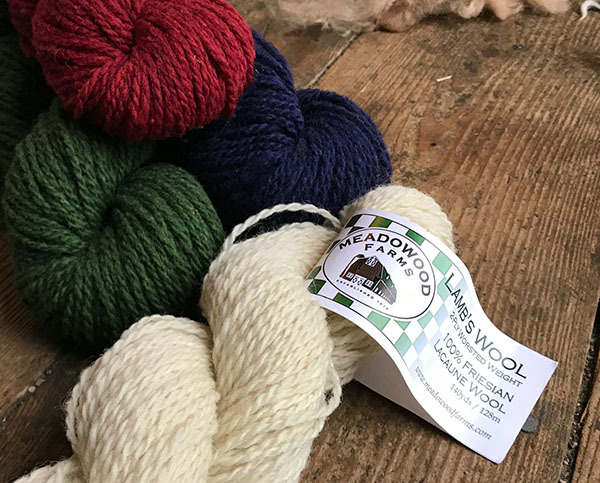 The custom spun yarn that we shared with Club Members for our final project of the year, comes from our friends at Meadowood Farms in the beautiful rolling hills of Madison County New York. This bucolic working farm has been in operation for over 100 years! On their 225-acre farm, they produce milk from dairy sheep, which is made into award-winning cheeses, and they grow pasture-raised beef and lamb. In addition, they are also home to a Belted Galloway cattle herd, sheep-guarding Maremma dogs, and a flock of parasite-controlling hens. Their flock of East Friesian and Lacaune ewes are highly prized for their milk production. This breed is sometimes referred to as the Holstein of the sheep world. As with many flocks that are raised with a dual purpose, their fiber is not the primary focus for the farm. This breed’s wool is typically identified for use in sturdy outerwear, blankets, or rugged sweaters that will stand up to the test of time. As we worked with this flock’s fiber when we spun this yarn, we instantly recognized how it is perfectly suited to ward off the chills of a New England winter. That conclusion had Maureen imagining a stranded mitten that would do the same with a double thickness of warm wool. Her Swedish Mitten pattern pairs the undyed Meadowood Farms’ 2-Ply worsted Lamb’s Wool with the Spinnery’s Weekend Wool. You can reach out to the Tolmans to try some of their yarn for this project; or you may want to consider working your mittens up with two contrasting colors of Weekend Wool. Two skeins will be sufficient for a pair of mittens. Before you get started on your mittens, we encourage you to head over to the farm’s website and view their Spring Gallery. 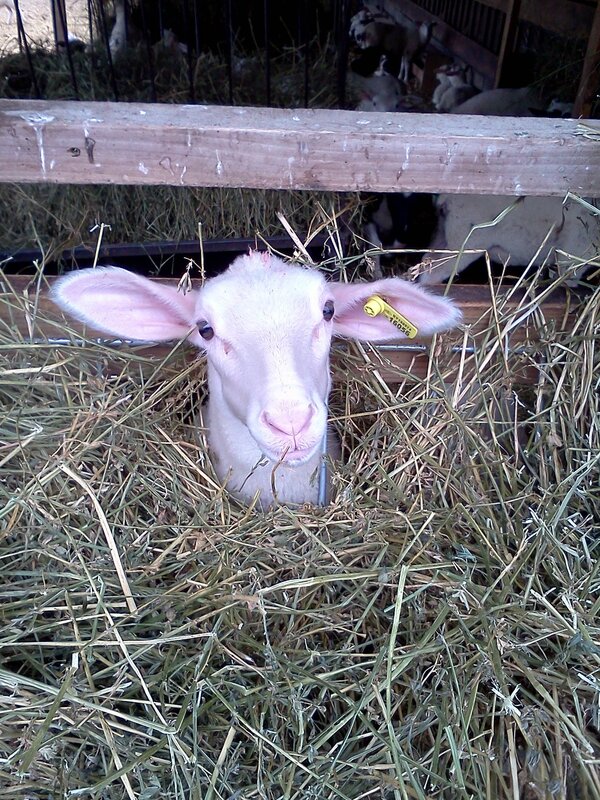 You’ll get a glimpse into their barns that will probably have you as smitten with their lambs as we are. Those ears! We also would like to encourage you to head on over to the farm to see this lively flock in person and chat with the folks who raise them. 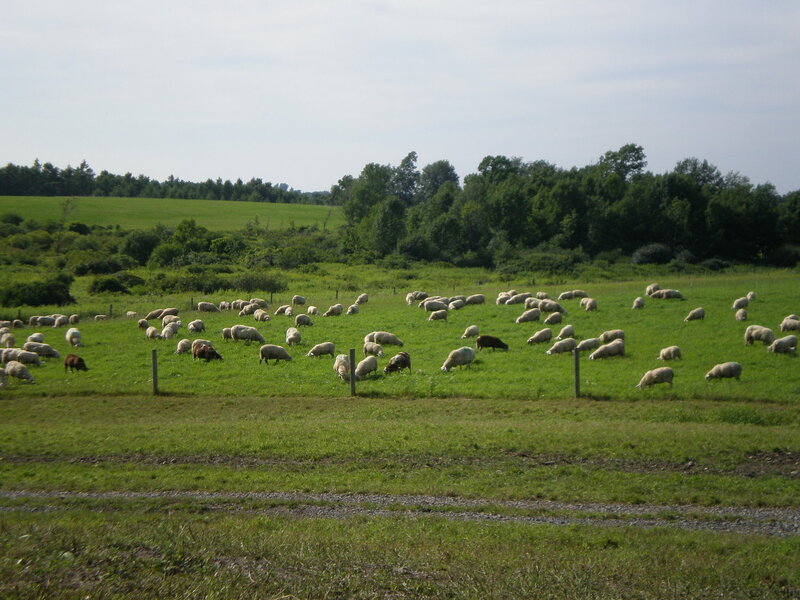 They are open to the public for Lambing Day in April and Open Farm Day in July (Saturday July 27, 2019). If you would like to visit the farm at another time, please contact them via email (info@meadowoodfarms.com) or call (315-655-0623) to make an appointment. What better way to get to know your yarn?! Previous Previous post: Craving color? Next Next post: Make your plans!